Besides EPISODE IX there have been other interesting trailer in the last week, pilling up really and I at least one to mention a few of them, starting with the first teaser for Joaquin Phoenix JOKER. The stand alone movie (not connected to the current DCEU) by Todd Phillips will tell a different story about the harlequin of hate. After Jack Nicholson needed to be thrown in acid to become the prince of crime back in the 80’s, today all you need to do is to throw a mentally ill, broken standup comedian into society to create the most iconic and cruel madman. I like the trailer and it got the attention it deserves. 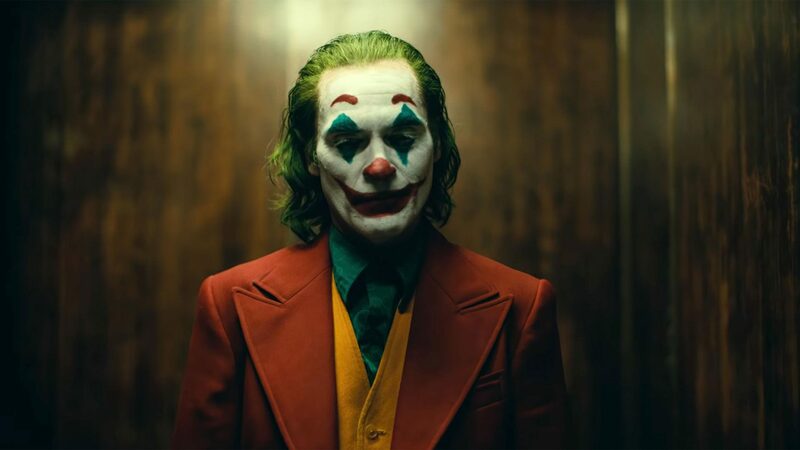 I am sure Phoenix will kill it as Arthur Fleck, not so important he will convince as Joker. Not sure the style we see at the end is already the final Joker makeup, even it is I’m sure this story mostly concentrates about the journey, not the final result. And it will be brilliant, I can imagine they screw this up. Still, I’m not really excited. It’s just too much lately. It’s a movie that does not need to happen right now I guess. It will be good and it’s wise to chose a different approach than what Heath Ledger did with the Joker. You can’t do it better anyway – it’s done, no one will ever do it better – so you need to do it differently. Tell a different story, show a different character. That’s what Phillips is trying to do and I’m sure, he will succeed. Question is – what then? Sequel? That’s not the type of story you should continue. This is really about how the society turns a good person mad and with this evil. It’s not about what he does as the Joker, but why he became this madman.